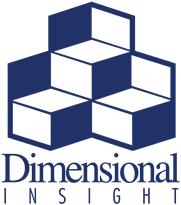 DI Netherlands is the European headquarters for Dimensional Insight. With a centralized location and state of the art research and development facilities, DI Netherlands is well equipped to assist distributors throughout Europe, the Middle East, and Africa. The R&D facility at DI Netherlands has a special focus on user interfaces and brought you Visual Integrator which is still being maintained in the Dutch office. Aside from R&D DI Netherlands supports its own customers in Benelux. Main markets are healthcare, public transportation, finance and insurance. Diederick Gerritsen is DI Netherland’s Practice Area Leader for the Insurance industry. He is a firm believer that business intelligence technology will change the way insurance companies do business. With over 25 years of experience, Diederick combines a strong understanding of the industry’s data challenges with the ability to find practical solutions.